We writers are a funny bunch when it comes to our habits. For some, strict habits are a necessity ― this spot, at that time of day, in these particular conditions. Sometimes such habits are born of necessity ― ie. the writer who works full time and needs to write in the early morning or late at night when the rest of the family is asleep. Other writers have the flexibility to write wherever and whenever suits them. Some other habits may seem more random but can be just as important ― beverages and snacks of choice, or music required for writing. It is this last point that I want to look at today. For some, strict silence is the only way to go. But for many, myself included, music is an integral part of the writing process. As writers, we can pull from the emotional aspect of music and build it into our own prose. Playlists can be useful for this process ― extended lists of music with a particular mood to help keep us in the right headspace. Soundtracks are my mainstay. Lyrics tend to distract me, and I don’t need words to convey the emotional impact; the music can do that all on my own. So I have a large library of film music. My brothers, Jeff and Mychael Danna are a big part of that. Having scores that range from big orchestral to Celtic to ethnic, there’s something for whatever mood I need. Other top composers for me are John Williams, James Horner, Hans Zimmer, Mark Isham, Patrick Doyle, Harry Gregson-Williams and Nicholas Hooper. At this time of year, Mychael’s The Nativity Story score is a popular one for me. If the mood is right, I often find myself falling back on The Shepherd’s Gift, which may be one of my favourite tracks from a movie soundtrack ever (it’s gorgeous!). Habits like this are not solely for writers, but for many other creative artists as well. 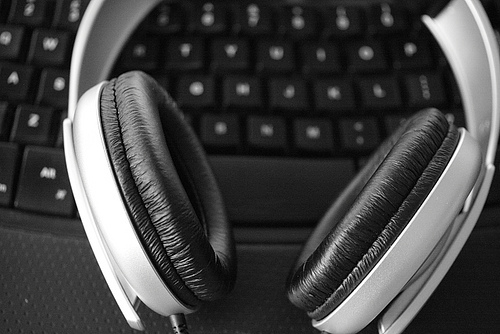 So, as writers or other creatives, do you rely on music to give your craft an emotional boost? If so, what are your preferences?